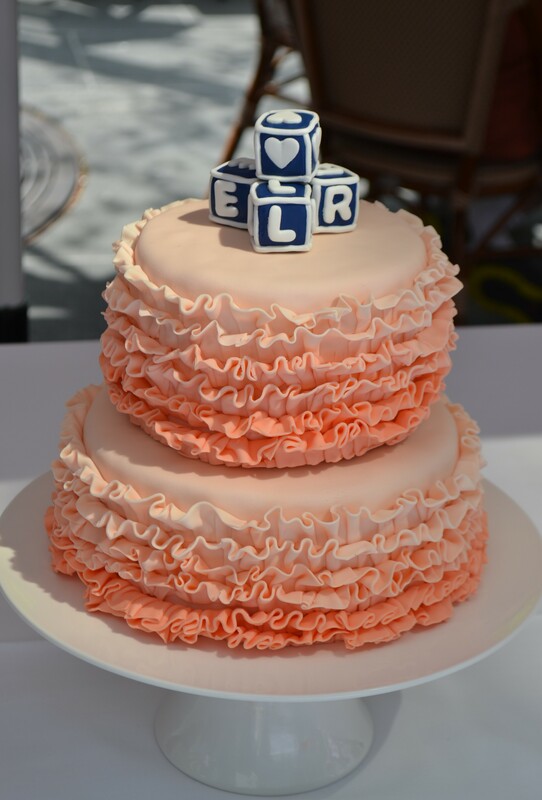 My client for this cake was having an Easter themed birthday party for her daughter. Because her daughter’s favorite color is purple, we went with a purple cake with light purple and white accents. I used the quilting technique for the bottom layer which really gives the cake texture, and finished the top layer with little light purple flowers. 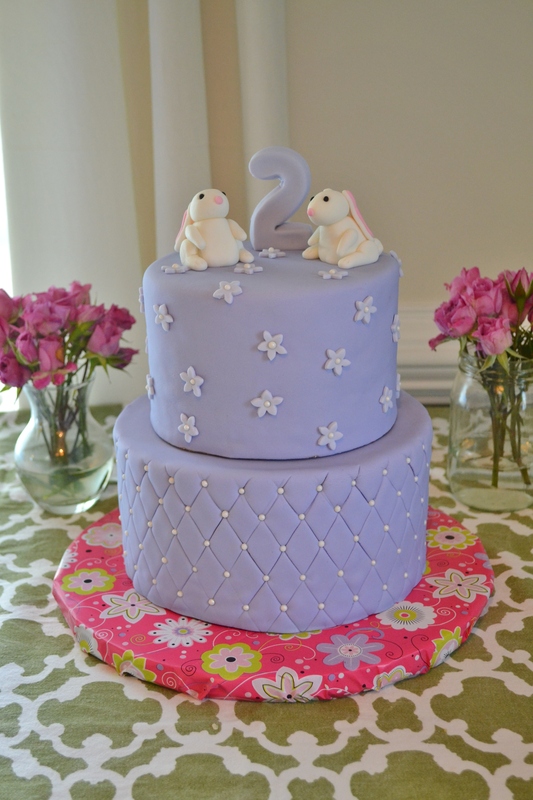 The cake was topped with two fondant bunnies.